Robust and extremely precise even under heavy duty, the Citoborma 490 performs like a professional paper drill. 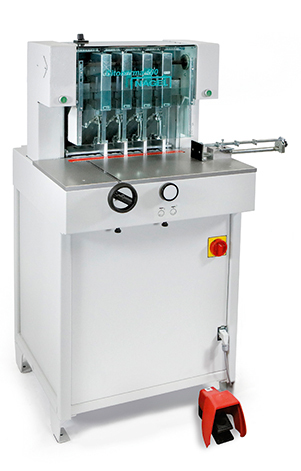 This easy-to-use machine for up to 6 drill heads comes with a wide range of standard functions. For special requirements and sensitive substrates, the Citoborma 490 offers special drill heads, variable drilling and table lifting speed, drill bit cooling and lubrication and many other extras. 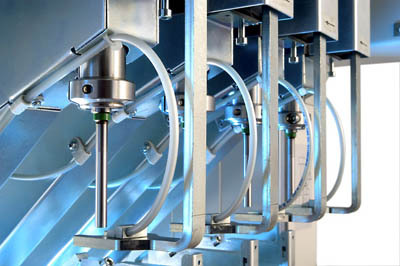 Ensures a gentle processing of sensitive material. 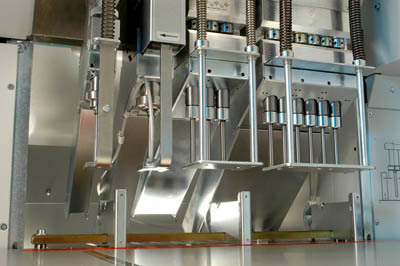 Heat build-up is reduced to a minimum to prevent material from sticking together.